All activities included with Museum admission unless otherwise noted. 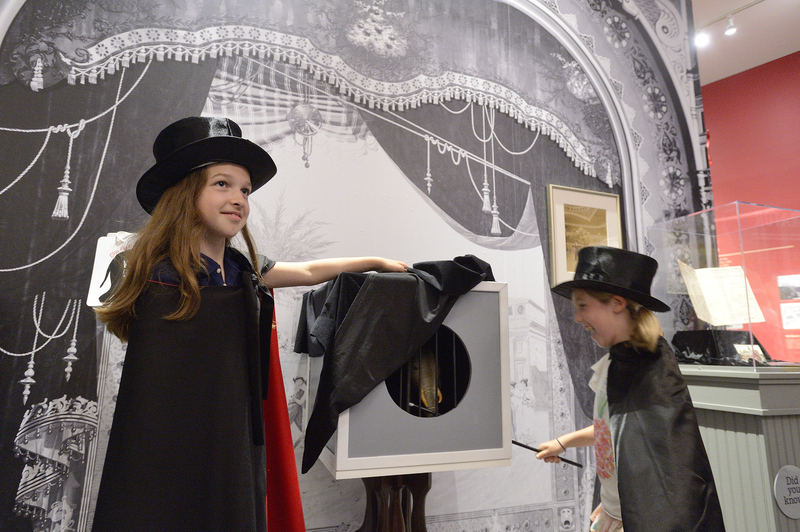 Join us for a special Halloween weekend family day at the JMM inspired by our current exhibit Inescapable: The Life and Legacy of Harry Houdini. We will learn a little magic, conjure up some delicious treats and enjoy some marvelous crafts. The highlight of the day will be two performances by Harry Houdini himself (well actually, magician David London playing Ehrich Weiss/ Harry Houdini). Our “Harry” will have a few tricks up his sleeve as he brings to life the story of the Hungarian Jewish immigrant who transformed himself into an international superstar. No ghosts or goblins but plenty of chains and lots of spirit. We are also offering special workshops for a small additional fee of $5 per workshop – these have limited spaces. This program is supported by a generous grant from The Jacob and Hilda Blaustein Fund for the Enrichment of Jewish Education. This program presented in relation to the Inescapable: The Life and Legacy of Harry Houdini exhibit, on display June 24, 2018 – January 21, 2019.